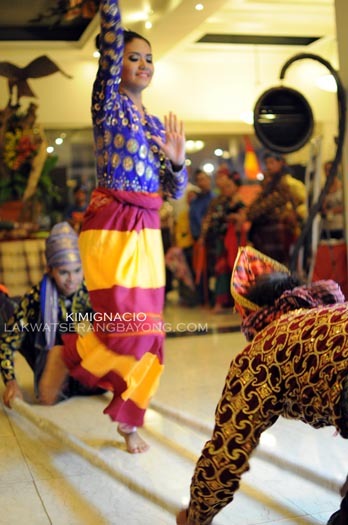 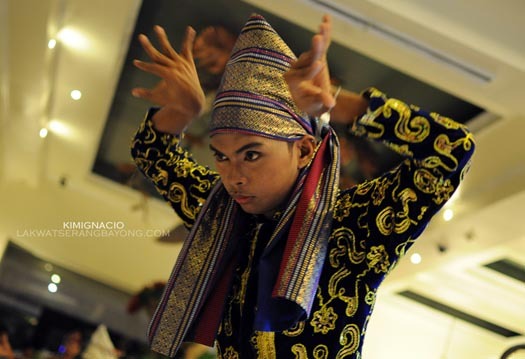 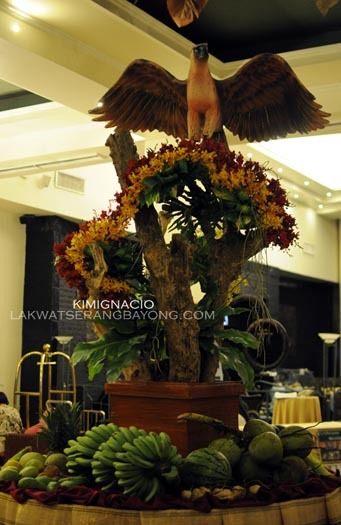 The Kadayawan Fiesta at the Apo View Hotel is now running on its 5th year and has become a yearly tradition for us for 3 years in a row and I must say the activities and offerings just keeps getting better. 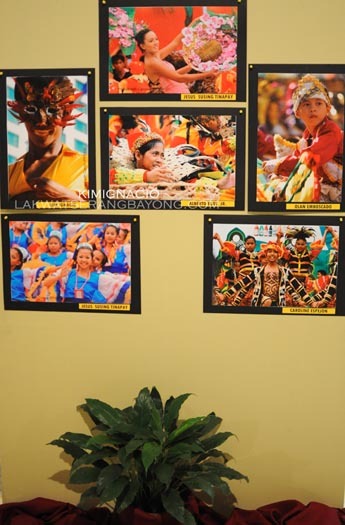 You don’t even have to be a staying guest to watch and join the festivities as it is free and open to all. 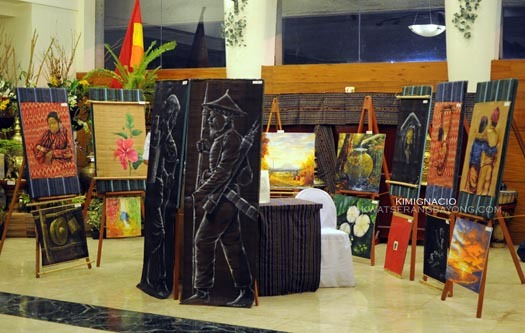 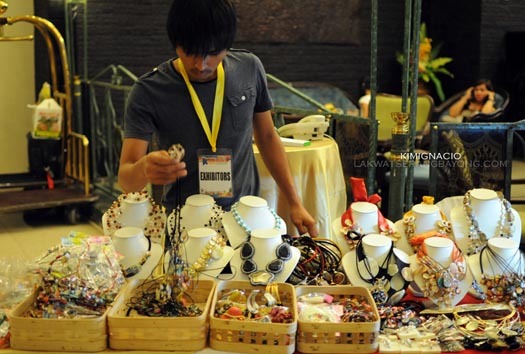 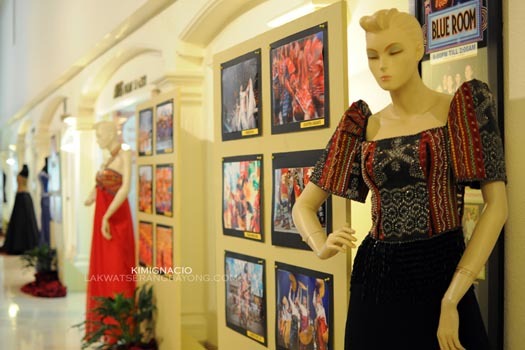 From August 7 to 19, a celebration of Davao and its neighbouring regions rich and diverse culture is showcased at the city’s most popular address. 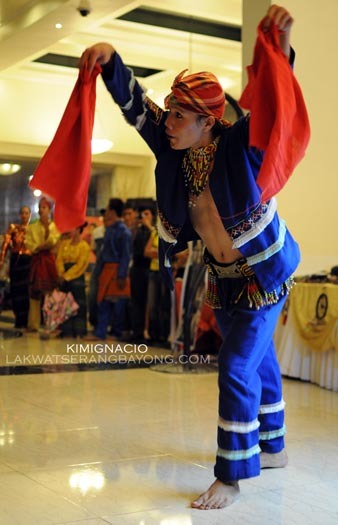 Feast on the abundance of local produce with the Tropical Fruit and Kadayawan Food Festival, check out the local artists amazing and world class talents through their photos art exhibits, cultural presentations, fire dances, and the Mandaya tribe at work while weaving intricate designs on Dagmay Fabric. 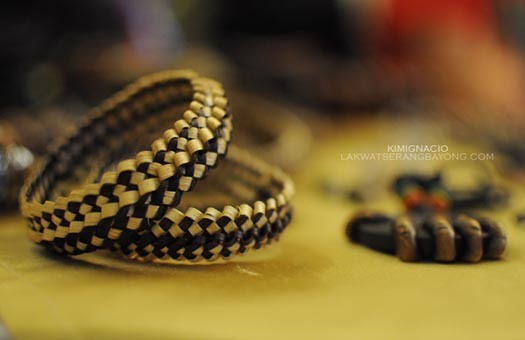 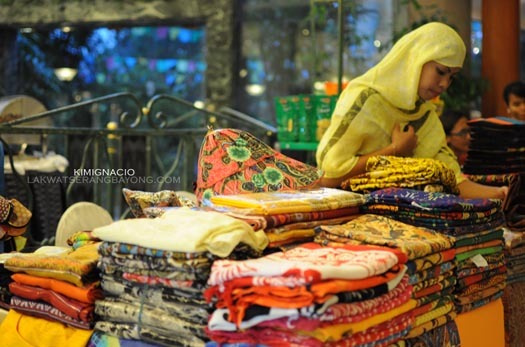 You can even buy a piece of authentic ethnic creation to bring home with you. 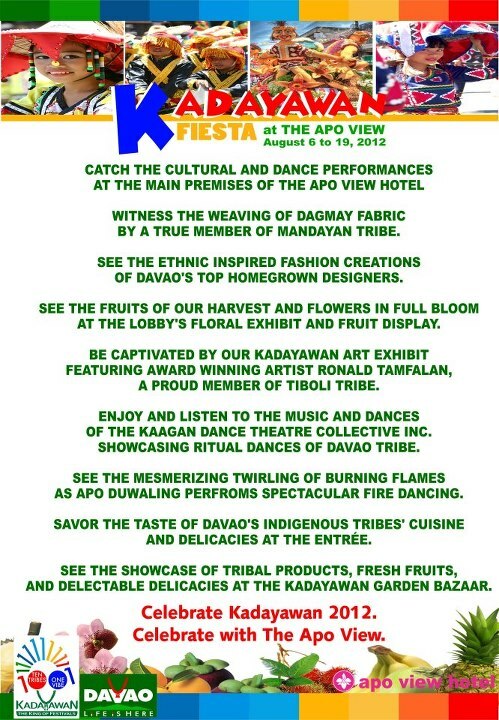 For the complete line up of activities, see photo below.